A Michigan woman who represented the State Department’s U.S.-Middle East Partnership Initiative (MEPI) in the Jameed Festival in Jordan says it's okay to stab Jews. She goes on to criticize Muslims who say stabbing Jews is wrong. Then she compares defending Jews to defending animal rights. What a disgusting, vile woman. why isnt her face covered? she must be beaten and then executed..
Don. If you are unable to locate her considering the info provided in the article then I have to wonder how and who employs you. To say…do your own dirty work. “Ah yes, if only women ruled the world there wouldn’t be war, it’d be a kinder, gentler society in which we live – NOT!! I grew up with sisters, and you are correct there wouldn’t be any peace. I’ve been in cat fights with my sisters, and have had hair pulling contests where my head throbbed for two weeks’ after. I could have sworn that I would’ve been bald by now, but hair has amazing strength to it, it’s like a rope, so lucky for us we did not go bald due to our fights. And the scratching, well let’s just say that I still have some battle scars to prove it. I think in God’s wisdom that he created both genders for balance! Women are just as capable of evil as men are, and they are much more devious in relationships compared with men. Ahh yes, if only women ruled the world there wouldn’t be war, it’d be a kinder, gentler society in which we live – NOT!! It’s difficult to imagine that pretty face contorted in rage and animal lust, hurling rocks at another woman for… whatever. It’s not difficult to imagine that pretty face contorted in pain and rigor mortis, the aftereffects of a payload delivery from a CF 188 Hornet. I wonder…is this for real? Stephen Hicken – I don’t think it will take 40-years! this is the new in thing the liberals have decided to run with. Anything islamic is ok. Unfortunately for those of us that have a few brains already understand that we who are not arab are not muslim and therefore are infidels. We do not even rate a humans and especially if you worship Christ. 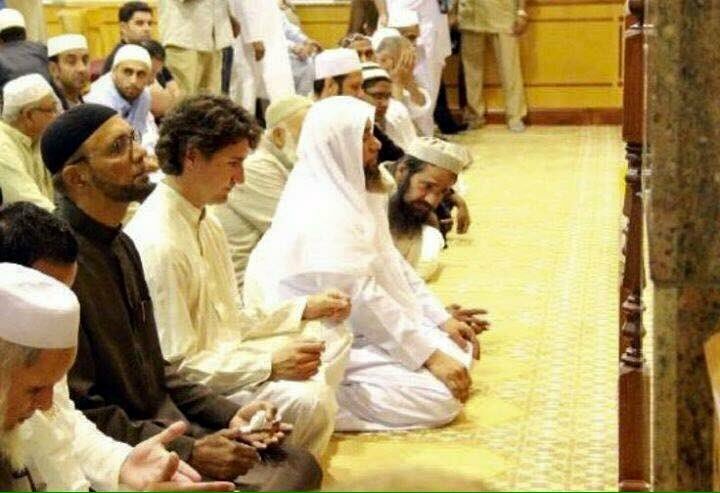 When they are here in Canada in mass the so – called moderates will buckle and do as their told and this country will be in an internal war. To bad those in charge dont realize what their doing ,but then , they will not be here when the crap hits the fan 40 years from now. Thank god neither will I….. This is the mind set of Islam. It is also the mind set of the people that Trudeau is importing into Canada. This chick has some serious bearded daddy issues. I heard she was half Jewish. Shouldn’t your face be covered? I guess it would not matter, your hate filled bigotry would still show through. So where are the hate crime charges? Yeah i know, i will not hold my breath. Too funny – the religion of peace – represented by a woman from the US of A – another country in serious trouble and not yet aware of it.